The world of merchandise transportation is a mystery for the ones who are not interested in the way the products get on their table. But for the producers and businessmen ensuring that the goods get to the other part of the world in total safety is crucial. Some of them feel the need to apply container modifications so that it complies with their needs of storage. The things of goods which are transported will lead to such modifications. The problem is that people tend not to know what modifications are permissible. There are some simple rules that you need to comply to in order to get efficient transportation. It is important to know that you should never modify a container if you do not own it. In case the owner gives his approval you may make small alterations. Otherwise you will be in big trouble if you decide to make the alteration. So if you really need to perform some container modifications make sure that you own the container. Therefore it is good to take into account some types that exist on the market. There are many options regarding the design or the size of the container. 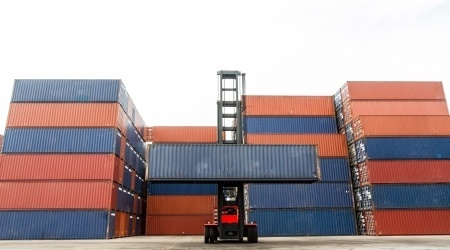 The most common container purchased is the dry freight with a door. There are millions available out there and most are of 40’ or 20’ capacity. There are also other possibilities like the insulated, refrigerated or modified in other measures. Regardless of what you choose, you need to make sure that it has an ISO certification. Because the storage needs tend to vary a lot, the modified containers are really popular and many businesses choose to get some of these. They have a specific design that will cater the needs of the buyer. The manufacturer will make whatever modifications you might need after you have paid the price for the purchase. Because there is an increased demand in such containers, it is clear that the customers want more and more specific requirements to be met. You may require the container to be painted in a certain way or with a certain type of paint. However, you have to make sure that you do not require anything that will have a negative effect on the shipping procedure. It is clear that the customer has specific needs regarding the ventilation systems and other environmental things. Some will actually require increased security devices. It is certain that you have to know your needs pretty well in order to get the container that you want. The wide range of choices has made this type of business flourish. The truth is that you can get your own container and have it modified at a later date. The only problem is that you may interfere with the ISO requirements and make it unusable for international transportation. Therefore the best thing is to ask the manufacturer for any container modifications so that it withstands any weather challenges and it also has a great impact on your day to day shipment requirements.